Ciclo &”cineastas del domingo”: pelicula de cowboys, hecha sobre los años 50 por un grupo de amigos. • Cómo se divertían nuestros padres y abuelos: aspectos de una “cultura juvenil” (años 30 – 40). Cycle “Sunday filmmakers”: cowboy movie, made over the 50s by a group of friends. • How our parents and grandparents enjoyed themselves: aspects of a “youth culture” (years 30 – 40). This film clip was drawn to my attention in March 2017 by Gonzalo Collazo, Co-founder of The Queer Tango Image Archive. 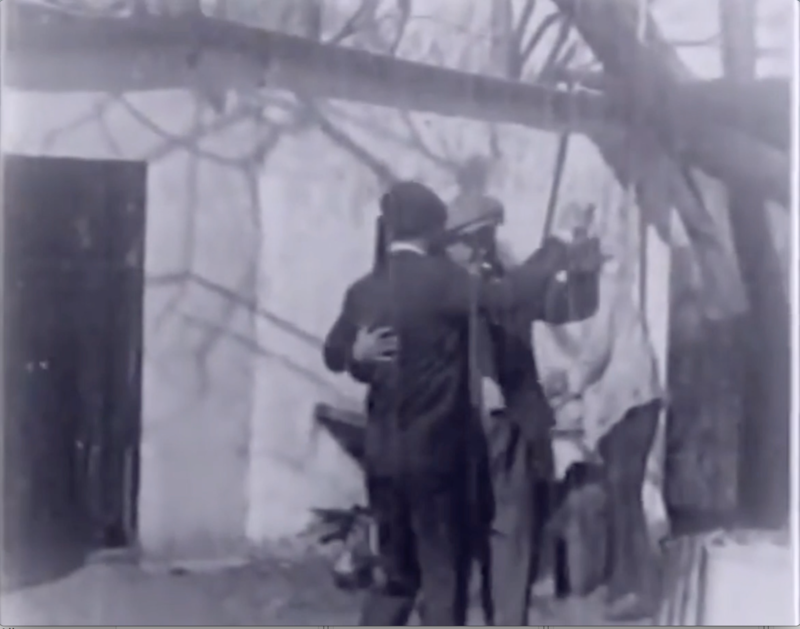 It is the earliest footage we know of of men dancing tango together. It is notable for NOT being a performance, except in the sense of the men “performing” in an amateur way for the camera. It shows one man practicing his steps, solo; two men dancing together; two men bickering about whether or not, or how to embrace – without sound, it is hard to say. This seems to be an all-male rural picnic or retreat of some kind – perhaps a football team? – with much horseplay elsewhere in the film. I make this football suggestion mindful of the striking image we already have – 00019 – which originated from the possessions of Eduard Moreira Bahnson’s grandfather, which shows a football team – in shorts and striped shirts, dancing tango in the countryside, probably in the Departments of San José or Canelones, Uruguay. This early footage confirms the suggestion made in, among other places, my paper, “Queer Tango’s ‘Image Problem’: Men, Intimacy and Pictures from the Past” – see “Links to papers” on this website, that historically, it was common for men to dance tango together for pleasure and enjoyment.